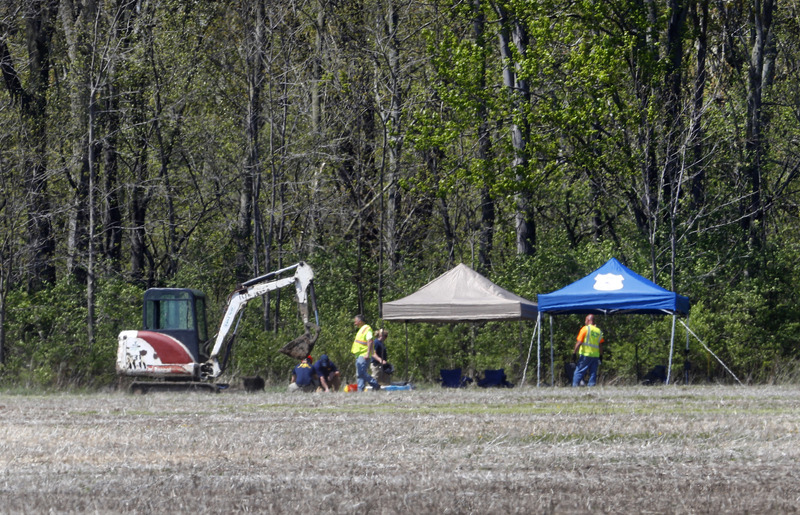 MACOMB TOWNSHIP, Mich. (AP) — Authorities were set to resume excavation work in a wooded area northeast of Detroit for the remains of a 12-year-old girl and the bodies of up to six others missing for decades. Warren police, the FBI and other agencies started work at the site in Macomb Township on Monday and began digging in earnest Tuesday with shovels and excavation equipment for Kimberly King’s remains before ending for the day. King was last seen in 1979 in Warren. Police began searching the Macomb Township site after speaking with a man serving life in prison for the slaying of another girl whose body was found near the wooded area about 30 miles northeast of downtown Detroit. In 2008, Arthur Ream led police to the body of 13-year-old Cindy Zarzycki in the wooded area. She was last seen in 1986 after being lured to a Dairy Queen in Eastpointe, just north of Detroit.